Denon DJ SC5000 Prime, X1800 Prime For USD 999, But For A Limited Time! Availability: from today until December 31st. Yesterday Denon DJ announced a temporary price reduction on their Prime series: The Denon DJ SC5000 Prime player sells now for USD 999 instead of USD 1899 and the X1800 mixer for USD 999 instead of USD 1899. This is quite remarkable because a close 50 pct price reduction is quite exceptional for professional DJ gear. The Prime series was already cheaper than comparable gear from Pioneer DJ, and with this price cut, the difference becomes incredible. This means that for USD 3000, you can now get a complete and professional media player setup that will equal and even surpass in some ways what Pioneer DJ has to offer. Obviously, we are nearing the end of the year, and that means DJ manufacturers want to position themselves for the Christmas sales spike. After all, the promotion is limited to the 31st of December. After that, the price will go back up again. It’s also possible that Denon DJ is trying to create some momentum around the Prime series. I don’t have any sales numbers for the SC5000 and/or the X1800 Prime, but I doubt there would be a near 50 pct price reduction if sales figures were flying high. So I guess somehow sluggish sales must be a part of the motivation as well to offer this reduction. 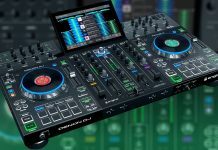 In any case, no matter the reasons, this is in an excellent opportunity for any professional DJ looking for new gear to get top of the line equipment for an extremely reasonable price. At the price range of USD 1000, there a quite a few options to choose from. 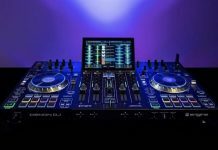 For example, you could go with the Pioneer DJ XDJ-RR that costs around 1000 dollars and get two decks and a mixer for the price of 1 SC5000. Of course, there are several compromises regarding features & capabilities, but the XDJ-RR gets the job done pretty well. If you would like a standalone media player, another option would be the Pioneer DJ XDJ-1000mk2 which sells for around USD 1100 and isn’t as powerful as the SC5000 but works with Rekordbox which is, after all, much more widely used than Denon DJ’s Engine Prime software.